An updated design you can't miss out. The classic English shoe or lace-up Oxfords of our childhood, now available in a modern style, plus new colours and finishes. 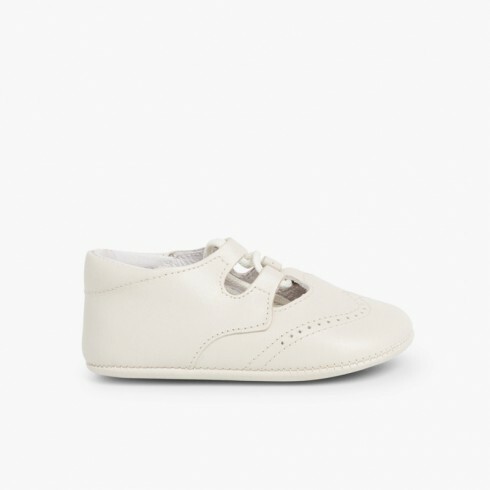 Made in Spain of high quality leather, these shoes are as delicate as your baby's skin. 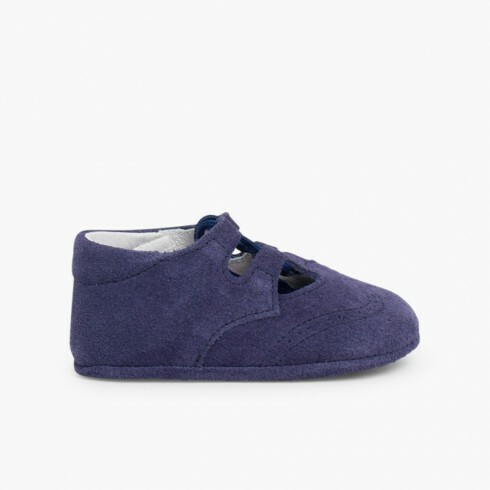 Timeless babies shoes suitable for winter or mid-seasons by choosing between leather or suede finish. If you like our lace-up Oxfords, don't miss out our Mary Janes, T-strap shoes, Chukka boots... and many other styles for the whole year. 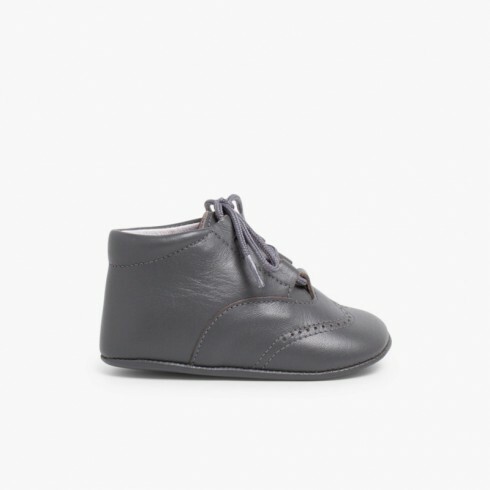 Buying footwear for babies is now easy, simple, fast and comfortable at Pisamonas Online Footwear Store. And remember, Delivery and returns are completely Free of Charge!